Not all SUVs are made equal, so it’s only natural that drivers shopping around for a new SUV want to know the differences between the 2019 Volkswagen Tiguan vs the 2019 Toyota RAV4. 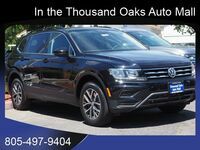 When it comes to trim level availability, technology and storage space, the 2019 Volkswagen Tiguan offers more value than the 2019 Toyota RAV4. We’ve broken down all the significant differences between these SUVs in our comparative analysis below. 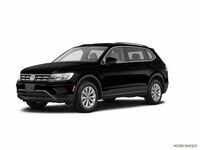 Six 2019 Volkswagen Tiguan trim levels are available, while the 2019 Toyota RAV4 is only offered in five. Although Apple CarPlay support comes standard in both the 2019 Volkswagen Tiguan and the 2019 Toyota RAV4, the same can’t be said for Android Auto. All 2019 Tiguan models support Android Auto, while the service currently remains unavailable for the 2019 RAV4. 73.5 cu.ft. Maximum Cargo Capacity 69.8 cu.ft. 138.7 cu.ft. Interior Volume 136.4 cu.ft. 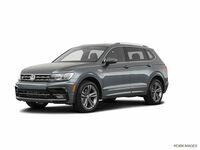 The interior design of the 2019 Volkswagen Tiguan grants drivers more cargo space than the 2019 Toyota RAV4. 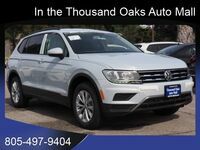 The 2019 Tiguan has a maximum cargo capacity of 73.5 cubic feet and 138.7 cubic feet of interior volume. In comparison, the 2019 RAV4 has a maximum cargo capacity of 69.8 cubic feet and an interior volume of 136.4 cubic feet. 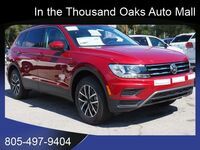 The 2019 Volkswagen Tiguan is also one of the safest options currently offered in the SUV segment. 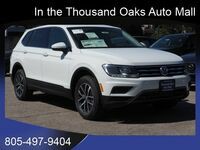 Features such as daytime running lights, an engine immobilizer, turn signal mirrors and rear door child safety locks all come standard in every 2019 Tiguan model. Available 2019 Volkswagen Tiguan comfort and convenience features include: Illuminated glovebox, dual-zone automatic climate control, ambient interior lighting, keyless entry with push-button start, adaptive cruise control, Volkswagen Digital Cockpit, a heated steering wheel, remote engine start, an auto-dimming rearview mirror and a carpeted cargo area with tie-down hooks. 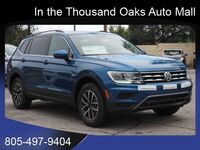 Interested in a 2019 Volkswagen Tiguan?